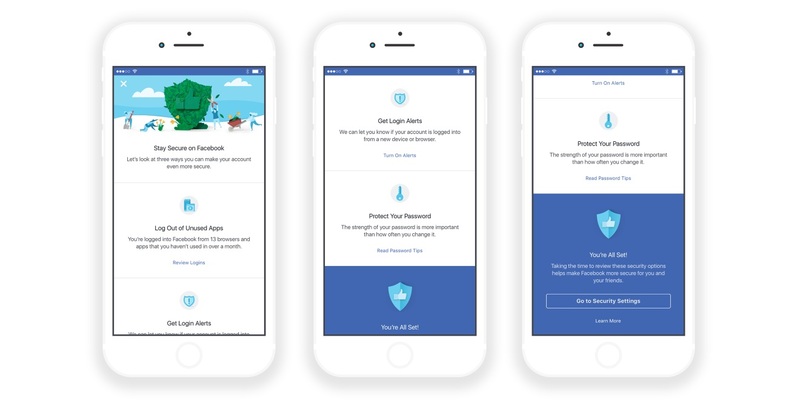 Facebook is marking Cyber Security Awareness Month in October by taking steps to remind users of the options that are available to them. Chief security officer Alex Stamos announced in a Newsroom post that “millions of people around the world” will see prompts atop their News Feeds to run Facebook’s Security Checkup tool, which enables users to perform tasks such as logging out of the social network from unused browsers and devices, receiving alerts on unauthorized logins and learning how to keep their passwords secure. Facebook introduced Security Checkup in July 2015. And product manager, account security team Heidi Shin penned a blog post of her own, mentioning Security Checkup and alerts on unrecognized logins, and also touching on two-factor authentication and blocking users.